Unfortunately the Media & Communications Meeting scheduled for 13th November 2017 will have to be cancelled due to the meeting not being quorate. It will be re arranged at a later date. Within the website there are details on how to have your say. Unfortunately the Media & Communications Meeting scheduled for 11th September 2017 will have to be cancelled due to the meeting not being quorate. It will be re arranged at a later date. Notice is hereby given that, due to the resignation of Councillor Ronald Lawrence and Councillor Wendy Lawrence, two vacancies have arisen in the Office of Councillor for the Parish Council. For further information about the role of Councillor and the process of co-option, please contact the Parish Clerk. Please see below the supporting documents for these vacancies. The Police and Crime Commissioner department we would like to hear views from as many local people as possible. 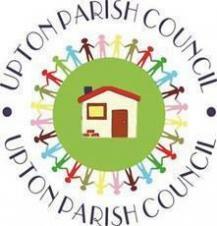 The Upton Parish Full Council Meeting Agenda for 5th June 2017 is now published online and available to view. Please click on the document below. The Upton Parish Finance & General Purposes Committee Meeting Agenda for 23rd May 2017 is now published online and available to view. Please click on the document below. HTML5 validated. WCAG compliant. Page generated in 0.1301 seconds.